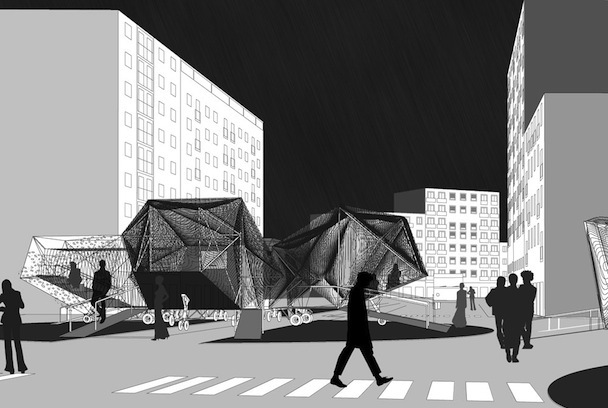 Proposal for moveable urban devices. Luca Molinari invited a number of select teams to propose solutions to inspire a better future, a ‘dream’, for the city. The proposal focussed on the creation of a number of temporary pavilions, with time-limited but immediate effect on their local environment, instead of lengthy and expensive construction projects. The idea was to use the pavilions as test sites for new public facilities such as a stage or basketball courts, to gauge immediate local response. Local authorities could then consider converting the most successful test sites into permanent structures.